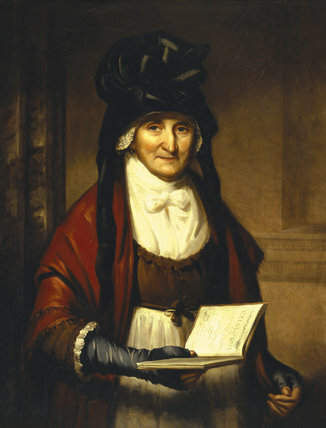 MRS GARNETT, HOUSEKEEPER by Thomas Barber (c.1768-1843) from Kedleston. She holds the Kedleston Catalogue. Photographed in April 1995, post-conservation.